Over the past few years HTC has had a few flagship devices, with that number growing smaller every year since 2011. The two main lines essentially have been the Butterfly, which first debuted in Japan and has stuck to a strictly non-US sales role, and the HTC One series that’s sold internationally including in the US. The original Butterfly was the first 1080p phone to hit the market, and it was sold in a slightly different form on Verizon as the Droid DNA for those that might remember that phone. Last year HTC made a big change in the Buttefly series by including the Ultrapixel 4MP camera from the HTC One line with the Butterfly S and essentially unifying all of its phones under the Ultrapixel camera branding. Now it looks like HTC may be going back on that front, or at least that’s what the latest leaked benchmarks on AnTuTu suggest anyway. For those not in the know, AnTuTu is a benchmarking app for Android that tests various things like graphics capabilities, CPU performance and a bevvy of other things. The app also does the job of collecting system information like what type of processor your device has, how many megapixels the camera has, etc. This usually leads to us finding out about new hardware before it might be intended, as the hardware gets tested by internal employees and sometimes accidentally (or purposefully) uploaded to the AnTuTu database. Case in point here where we see a mystery HTC device with the model number of 0PAJ3 appearing on the AnTuTu site, and there’s some really interesting information attached. 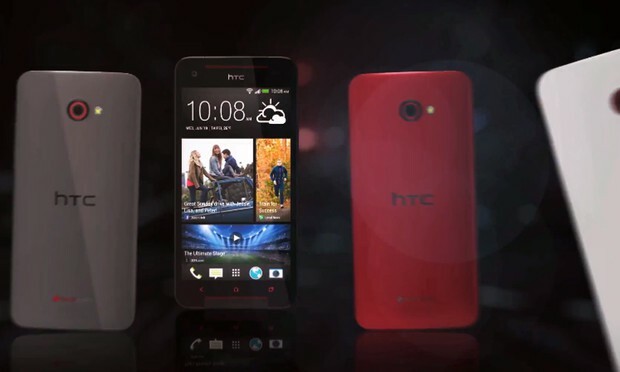 The mystery model features a 1080p screen, 2GB of RAM and Android 4.4.2 like many of HTC’s other phones at this point. What’s rather interesting is that it features the newest Snapdragon 801 chipset, which also powers the just-released HTC One M8, as well as a 13 megapixel rear-facing camera. Given that the HTC One M8 or its mini version don’t have such a camera, one can only surmise that this must be the next iteration of the Butterfly series, and it’s nearly 1 year after the last one launched too, so the time is definitely upon us. While these stats can be faked, it’s always good to look on the horizon and see any trends that might be popping up in new hardware, and of course if we hear any more info you better believe we’ll keep you informed. The post HTC Butterfly 3 Might Be in the Works, Featuring a 13MP Camera appeared first on AndroidHeadlines.com |.